Hey guys, I know these cameras have audio so that’s a plus but is the video substantially better than the iris cameras? Could you actually identify a person from 30 feet? I only have the original Iris cameras to compare against, but those were not very good. I have the Arlo system, a total of 13 cameras including Pro, Pro 2, and Q. It's not a bad system but it's pricey. They are getting into smart object detection (people, person, animal) as well as package detection (recognizing the UPS guy). They just came out with a 4K system but I have no experience with that. If you're considering SmartThings, Arlo has a direct integration, including the ability to start/stop recording, turn the cameras on and off, plus use the cameras PIR and video motion detection features as motion sensors in SmartThings. I wrote the ArloPilot app which can be used to synchronize the SmartThings alarm system states to the Arlo system. When I left the Iris dumpster fire several years ago I made a decision to diversify my smart home tech to discreet, stand-alone components that can function without a hub, yet be integrated with one. I went with Arlo for cameras, Ring for the doorbells, Hue for lighting, Ecobee for the thermostats, and Harmony for my entertainment center. All of those function on their own, yet all of them can be integrated via SmartThings as well. I highly recommend that strategy as it reduces the footprint of impact of a hub failure or in this case, platform shutdown. Wow!!! Thanks for that info!!! With the iris cameras I have which are gen 2, in low light there is no way to recognize someone’s face. 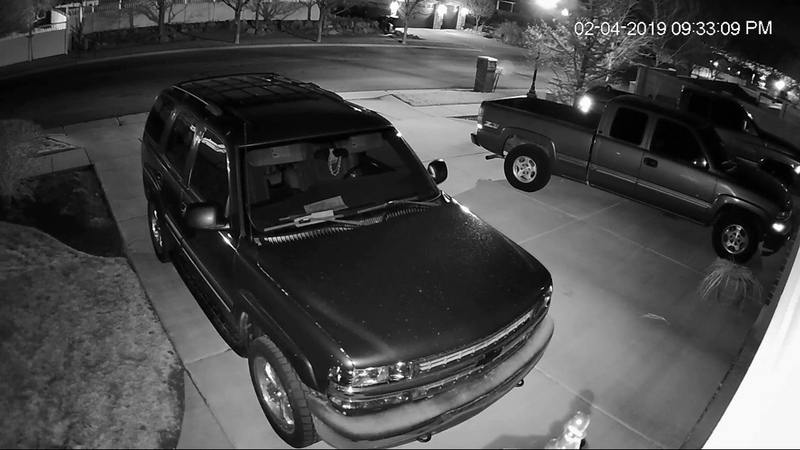 Someone broke into our vehicles and you could see the people but could not recognize their faces even when they looked right at the cameras. Do the Arlo Pro 2 Cameras have high quality video? Also, you have me leaning toward Smarthings now but I’m hearing they are starting to lag on their tech support and that worries me. I was thinking of going with Wink? It appears however that they don’t support the Pro 2? Thanks Vett! Do they work with Wink and SmartThings? No, you would have to create a standalone surveillance system. I did this a few years ago using Blue Iris and have never regretted it. 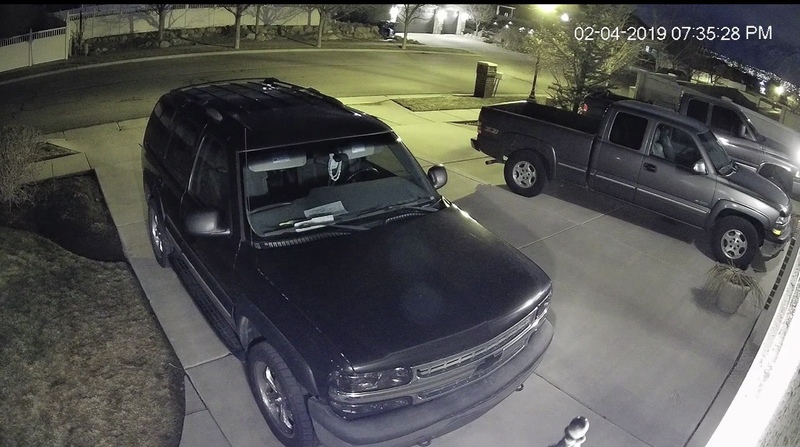 The video quality is so much better that it has gotten to the point that whenever something happens in my neighborhood the police stop by to see if I captured anything on my cameras. Lol, well they sound like great cameras!!! I really want Cameras to integrate into one of those platforms but I am now keeping those cameras in mind! Thanks Vett! The problem with the cloud based cameras is they typically only record on motion and I know their motion sensing capability is not 100% accurate. My cameras record 24/7 so I’m guaranteed not to miss anything. You can have the Arlo Pro 2 record 24/7 but you have to pay and I’m done doing that! The Arlo's after a few firmware updates over the years have now proven to be pretty reliable at triggering recording from motion. They wireless and 4k cameras also have the ability to connect a hard drive or USB stick to the base station for local recording. My only complaint is their CVR plans are too pricey so I'm passing. I also strongly suggest investing in a couple IR Flood Illuminators for whatever camera you get. I've never seen ANY camera that has decent night vision using only internal LED's. Agree with the illumination problems that most cameras have, at least the low end ones under $200. I have a hard-wired video system that covers the exterior of the house, and over the years I have had to replace a couple cameras that died of old age after running 24/7 for 5+ years. What I found out was the camera itself was dead but the IR LEDs were still working fine, so I took a couple of those 'dead' cameras and mounted them where they could serve as fill-in IR lights, all I had to do was get power to them, no worries about video. So now it looks like I have more active cameras than I do, and those areas that needed some IR fill light are not so dark now. One of them I mounted on my shed which is way off in the corner of the lot and has not AC power to it. I have a solar powered light out there and I tapped into the 12v power for the light to power up the camera. It doesn't draw that much and runs all night off the battery. The cameras on the house and garage that look out that way now see better out by the shed and it didn't cost me anything but a little time and some wire. Do you happen to have any links or suggestions on IR Flood illuminators that you have tried or are using? With a quality camera and the right positioning, sometimes IR is not necessary. The IR on the camera below is turned off. Here it is again with just the IR. For those who use Blue Iris, there is a community-supplied Integration. When it comes to IP cameras, bitrate is everything. Doesn't matter how great the camera is, if it cant send the video stream to the recording thing with a high enough bitrate, you'll get garbage. Some cameras cant do it due to hardware limitations and others have issues due to network problems. If you're considering SmartThings, Arlo has a direct integration, including the ability to start/stop recording, turn the cameras on and off, plus use the cameras PIR and video motion detection features as motion sensors in SmartThings. On Arlo... So the batteries operate for a while before you have to recharge them? It looked like you can plug them in but it says indoors. If you plug them in can you still have them outdoors and be water proof? I could be wrong but from what it looks like is they charge with induction since there isn’t a port that it plugs into. I’m sure it says indoor because the plug side isn’t outdoor rated. I could be completely wrong but I gathered that from the pictures on their site. The Arlo Pro 2 and Arlo 4k cameras have exterior power cables and even solar panels available. If you power those cameras you can enable video zone motion detection. The side benefit is that it keeps the batteries fully charged, yet when the power goes out the cameras will continue to run on their batteries for weeks. The batteries for the Arlos last a pretty good while. That of coarse depends on how you set them up and where you place them. You can set them to record while motion is present or record for a fixed amount of time. If you set them in a high traffic area and have them recording all movement for 5 minutes then they may not last so long. I have two on batteries and I can usually go 4 to 6 weeks before I need to recharge them. They probably average 4 to 6 recordings a day. They can be powered outdoor if you purchase external power cables. The power cables that come with them probably shouldn't be used outside. I have one powered with a solar panel and it works really well. The Zone detection Irisusers mentioned can only be used if on constant power, it will not work if powered by a solar panel..
Well I pulled the trigger and bought the Arlo Pro 2 Cameras. They are better than the iris cams but not as good as wired. Setup is way easier than the iris cameras! And the video quality is better! Have them working with SmartThings. With the new ST App they don’t really work that great! I prefer to use the Arlo App. Going to see how they work with the ST Classic App. You can hardwire them yeah? Also can set recording based on SHM event yeah? I had Iris at a vacation rental in FL. I liked Iris and had no motivation to change until they croaked. I just replaced it with a SmartThings Hub V3 and a mix of Arlo Pro 2 and Arlo Ultra cameras attached to an Arlo Ultra base. In about 2 hrs I was able to get all my Iris Sensors switched over to SmartThings (Door, Door Lock, Thermostat, Motion, Garage, Smoke and CO, plugs). Pairing speed, sensing speed, pairing stability, seem much faster on ST than Iris. I preferred the Iris UI, maybe only because I was used to it. I hate that ST only has a mobile app and no web app. The ST hub is wireless, which is much more convenient when pairing. The ST has no battery backup which is annoying. The day and night video and audio quality on the Arlo Pro 2 is much better than the Iris Indoor/Outdoor camera. And the Arlo Ultra camera is significantly better than the Pro 2. HOWEVER, so far I have found the motion sensing on the Arlo cameras to be nowhere near as good as the Iris cameras. Iris was my first system and the motion detecting was so good I didn't realize I needed to evaluate cameras for bad motion detection quality. The Arlo motion sensing is nowhere near as good as iris. I had package deliveries and multiple entries and exits from my driveway with no detection. Iris cameras would have caught it all. You can record everything on Arlo, but that costs a few bucks per month per camera. and then you don't have a way to only look at motion videos. The Ultra says its 4K, and it is, but you can only record in 4K to the cloud if you pay extra. The Arlo ultra power cords are ridiculously expensive. $50 for a 25ft outdoor power cord. I spent $1000 on a 4 camera kit and they only gave me one charger. All these home automation systems seem to have departed from GUI standards and make up their own oddball UI. Arlo is no exception. It took a while to learn the quirks of Iris, and it took a while to learn different quirks of Arlo. Arlo software still has bugs. EG Downloading videos are either all have the same name, or have a randomly generated name. None seem to have a thoughtful naming convention. Arlos are battery powered. It is convenient at times, but I hardwired all of them. Batteries seem like they would last about a month. Having to charge cameras every month seems infuriating. Since you are using ST you can buy external motion sensors and use those to trigger your cameras. Although I have found the motion sensors on mine to be quite adequate. In fact I have the sensitivity turned down on two of them so they don't pick up every leaf or twig that blows around the yard. Iris cameras had good motion sensing because they had a PIR Infrared motion sensor rather than utilizing motion in the pixels the camera picks up so there had to be heat change so blowing leaves/branches/drapes were much less likely to trip a false alert, but someone walking straight at the camera would trigger. Most cameras only rely on the camera lens and software detection of movement meaning they don't detect motion coming straight at the lens very well and do much better at detecting sideways motion but you will get a lot more false alerts with them because of things blowing in the wind. With the Arlo cameras and most others these days its recommended to mount them somewhere that its more likely for someone to approach from the side than straight on. To minimize false alerts Arlo provides zone capabilities that help to some degree but I'm not sure if its available on their battery powered cameras or not.